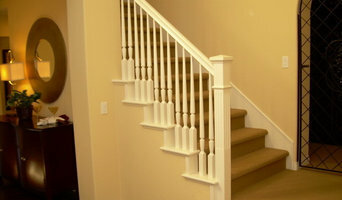 For a fast & free estimate, please send pics of your stair to wildwoodstairs@gmail.com. Please be sure to step back & capture the whole view of each section of railing (try to not cut off the ends). Also, please send pics/description of what you’d like to have done to your stair. Thank you! Through dedication to our customers and our commitment to quality, we feel that we can offer you the best service in the construction industry. Our goal is to always have satisfied customers! The Art Of Woodworking was established over 35 years ago with a vision to build and create fine woodworking with “Old World” craftsmanship and standards in our modern world. We are a small family owned business and we personally oversee all aspects of our business. 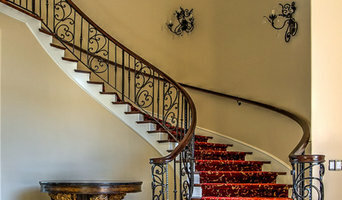 As you can see we provide the finest staircases in all design aspects from contempory to traditional. We can create almost anything our clients can imagine. If you are looking for a custom designed staircase, kitchen Cabinets, custom mantel, entertainment /media center, or even custom furniture we can help. Please just give us a call or send us an E mail. Evanart is an established company which has serviced the state of California for over 15 years. Our work ranges from small projects to bigger projects, and they are all conducted in a professional manner and always paying close attention to detail and the needs of the customer first. Customer satisfaction is very important to Evanart’s crew. When researching about the best company to help you with your metal projects, Evanart is the company you are looking for. 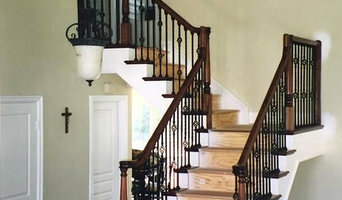 We are a local, family owned and operated staircase contractor located in Southern California - also serving the Phoenix Valley. Our focus at Beach City Stairs is to provide value, quality, customer service and satisfaction from start to finish on every job. 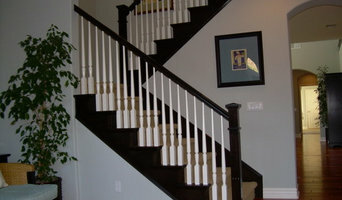 We will come to you bringing knowledge and design ideas to create a staircase that compliments both you and your home. Our company was established in 2001 by Trevor Streech who is the owner and operator. Prime started as a fabricator, specifically for the marine industry, producing stainless rails, t-tops, tuna towers and various polished stainless items on yachts. Within a few years, Prime expanded its fabricating repertoire to include medical facilities and high-end retail stores and hotels. About 10 years ago, Prime added a powder coating and sandblasting line to provide its customer base a one-stop shop for finished products and custom items. Most recently, in 2011, Prime became a licensed structural steel contractor for custom homes in coastal areas of Orange County. Our desire to meet our customer's needs from the start to completion of all projects, large and small, has led to our continuous expansion and success. San Diego's leading provider of Glass Walls and Glass Railings since 2001. 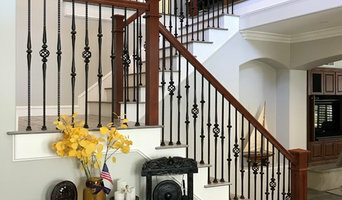 Sdstair/Coast Building Established in 1984 with the goal of providing San Diego with the best in Custom Wood Stairs, Mantels, and Fine Finish Carpentry. Our local Woodshop gives us the ability to custom components for Stairs, such as Box Newels, Railing profiles and mouldings. In addition, we can manufacture custom cedar exterior gates, exterior railings, Wood Window Sash, and Custom Door Frames. Our Finish Carpentry services include Wainscote, Shiplap Paneling, Beamed Ceilings, Crown Moulding, Base trim and door installation. Our Experience will make your Ideas come true with the Quality you expect. K Pinson Stairs is a 1 man operation. I work on one job at a time so that I can give each customer and project my full attention. I am an excellent craftsman and care very much that my customers are happy with the product and process. Techno Design was founded in Europe in the early eighties and was re-established in San Diego in 2003 to serve clients in the USA. In early 2018, new management and an influx of investment fortified the company to provide even faster, superior service, with the same dedication to quality and attention to detail. European influenced design, combined with a mixture of international talent and manufacturing experience have built this company’s impeccable reputation and unique, eye-catching style. With over 40 years of experience in fabrication, we have the skills and expertise in both traditional and state of the art production methods and tools to execute any project with full confidence. Knowing how to approach a project is our biggest advantage. The company is able to design, fabricate and install anything clients can imagine for a home or business in any material, size or complexity. We coordinate project details with architects and designers to make challenging projects successful and cost-effective. Our ultimate goal is to get every detail right, because every one of our clients deserves perfection. Bring us an idea and we will work with you to make it a reality. Mike's Metal Works, Inc. is a structural steel and misc. metal builder with over 30 years experience in the San Diego area. We offer everything from complete design up conceptualization to small remodel. Visit our website at www.mikesmetalworks.net for more information and design ideas. If and when San Diego Mobile Welding ever does a job for you I am certain you will be a returning costumer! We meet and exceed your expectations while attempting to exceed ours; every job we complete. We have over 20 years of experience in the welding field and highly experienced welders that are friendly, fast and efficient. We weld in San Diego County but will go far and wide to meet the demand of our customers.